Frederick the Wise (detail). 1525. The Battle on the Bridge (detail). 1889. The Temptation of Saint Anthony (detail). Bronze sculpture, "Napoléon à cheval"
or "Le voyageur", circa 1900. Skaters by night with "Koek-en-zopie". 1849. Circa 1990. 18K yellow gold, 79g. Estuary with a galley ship (detail). 1620. Christ and the adulteress (detail). 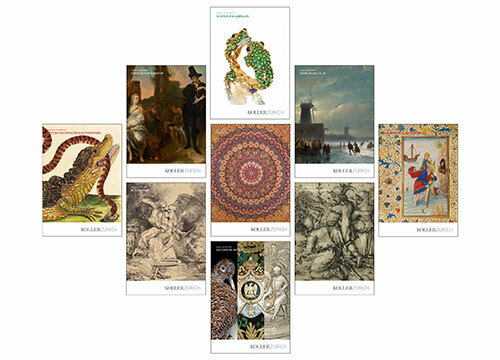 Discover the value of your collection. Contact us for an estimate in view of our upcoming auctions. 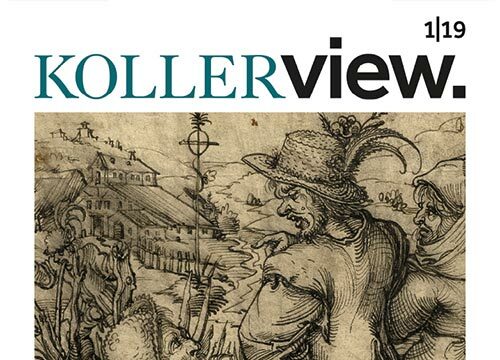 The latest issue of KOLLERview is now online. • Artistic Elector, sensitive Don Juan. • Böcklin’s power and Rademakers’ eye. • Virtuoso craftsmanship, opulent decor.